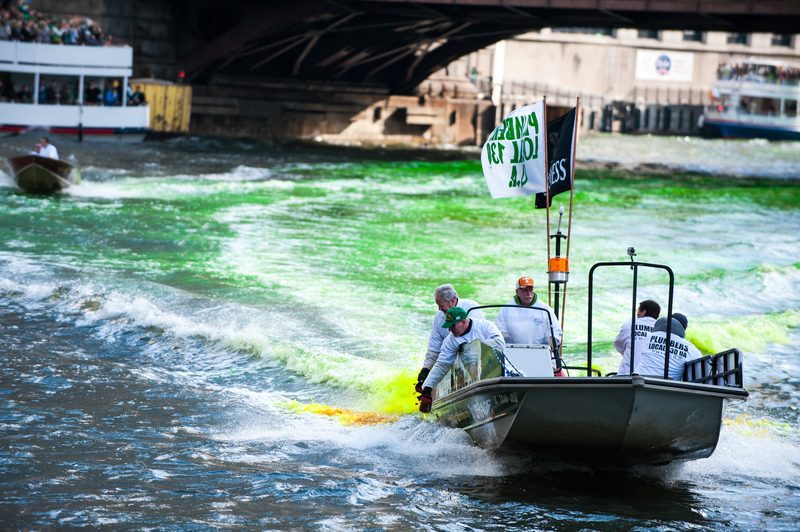 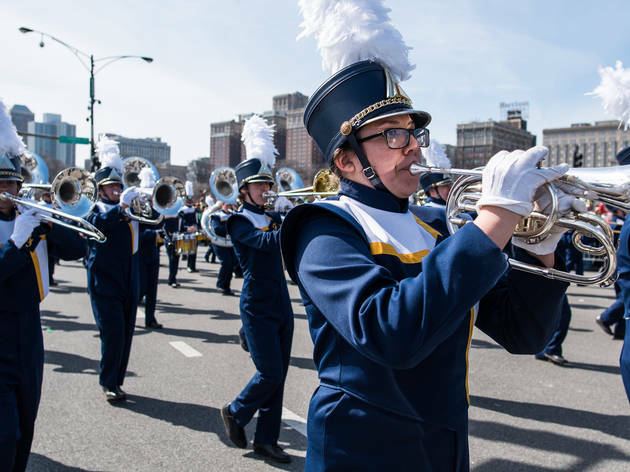 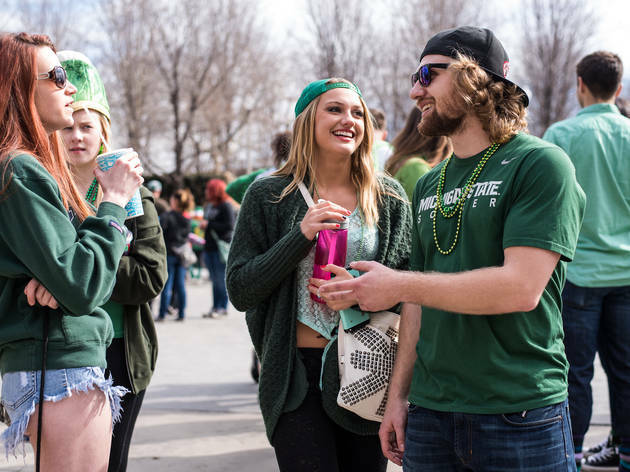 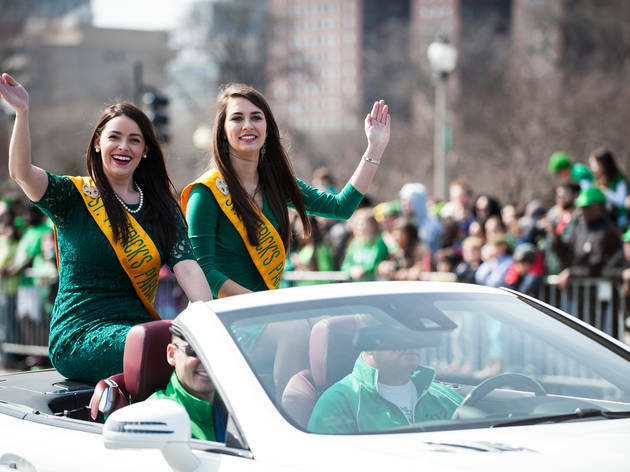 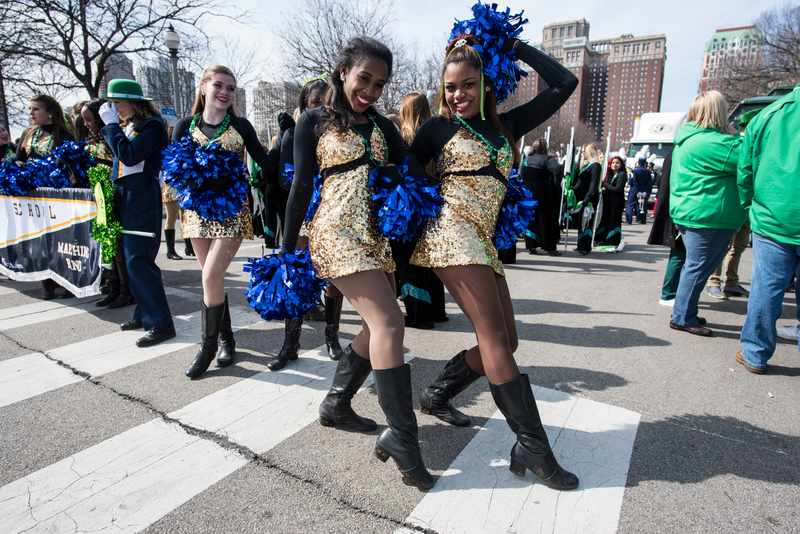 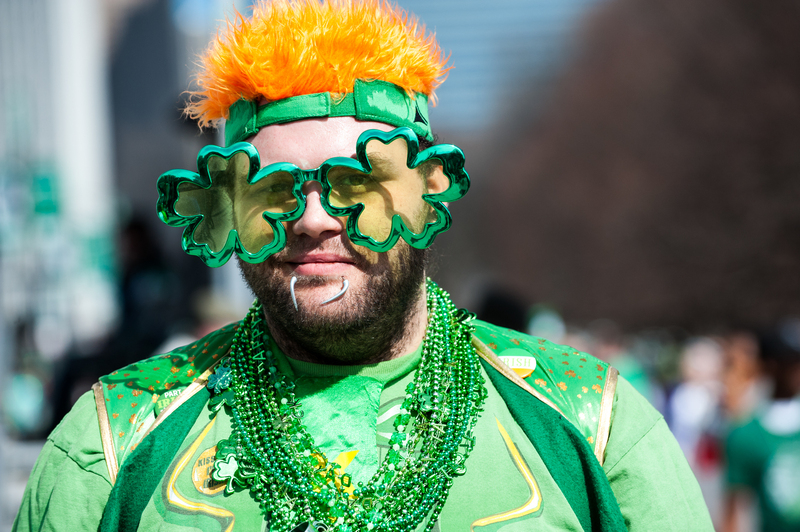 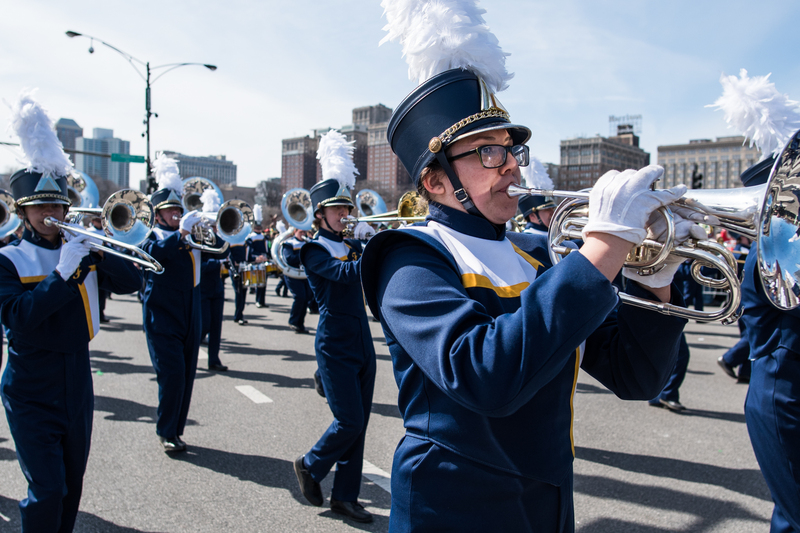 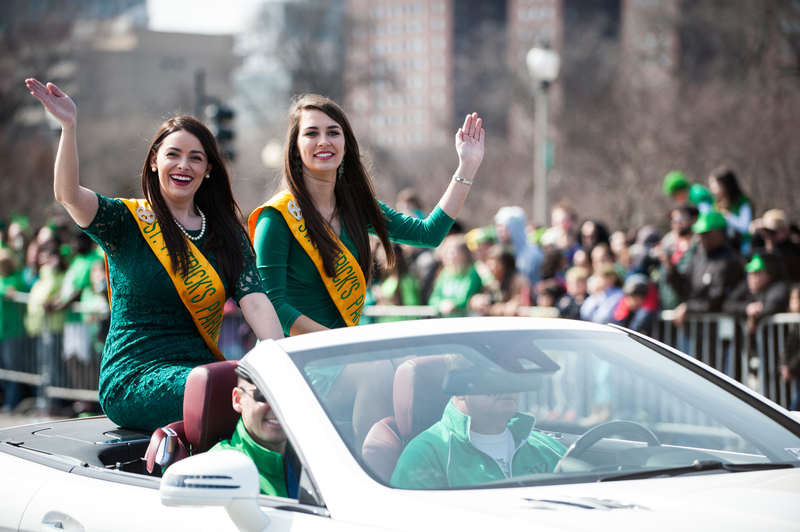 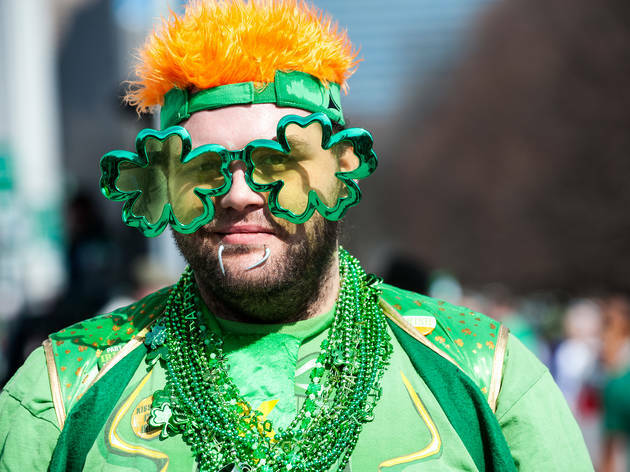 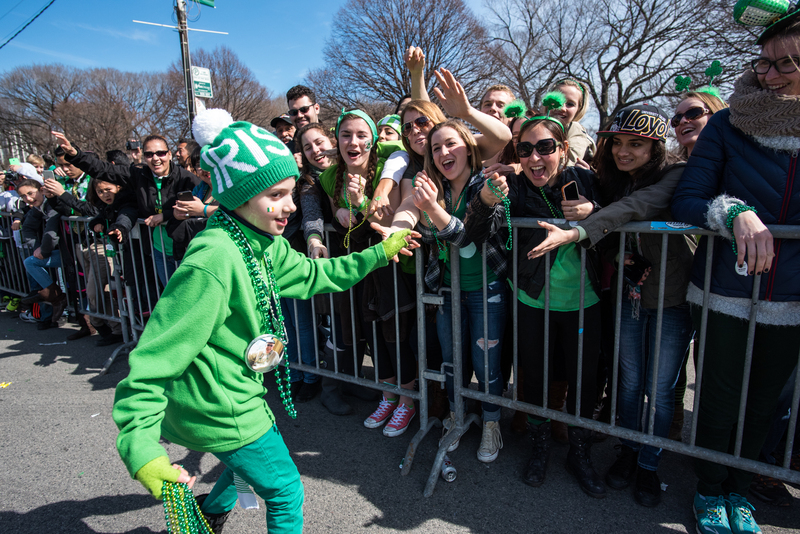 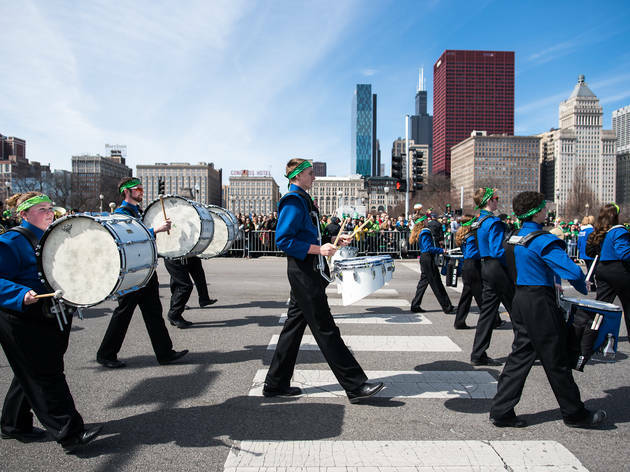 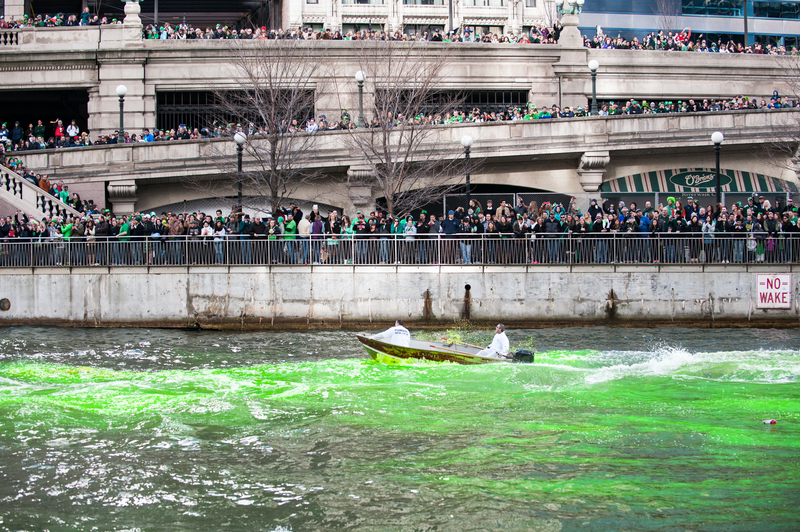 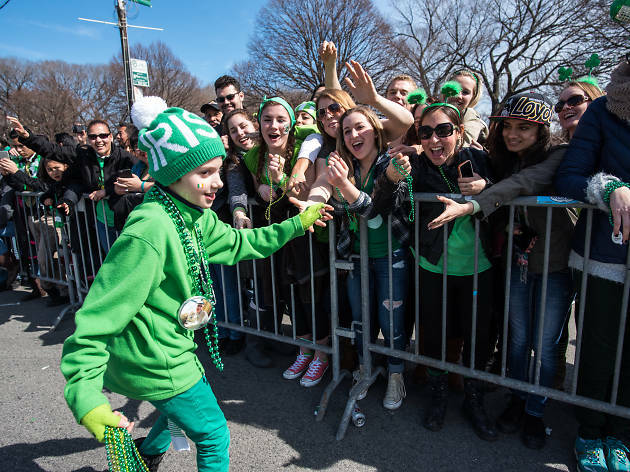 St. Patrick's Day doesn't officially arrive until this Tuesday (we're still celebrating Pi Day with some savory pies) but the city kicked off the festivities with its annual parade and river dyeing. 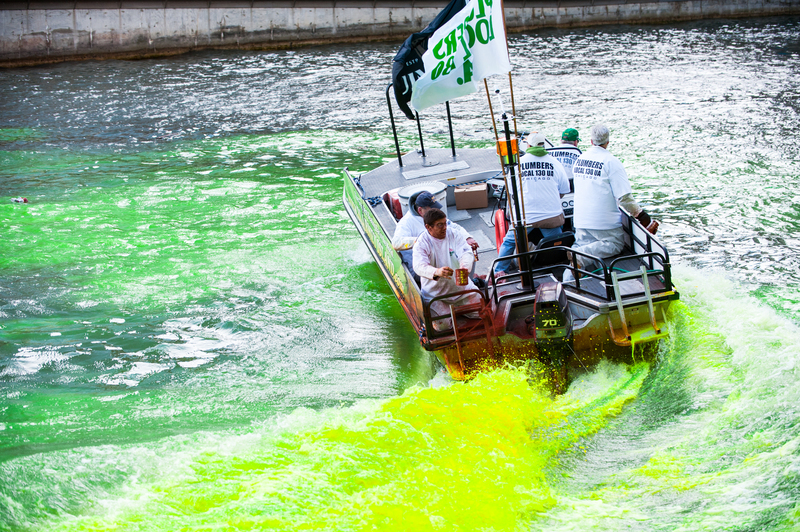 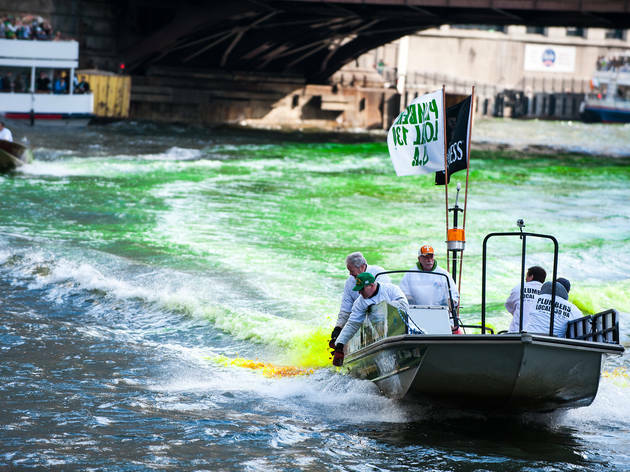 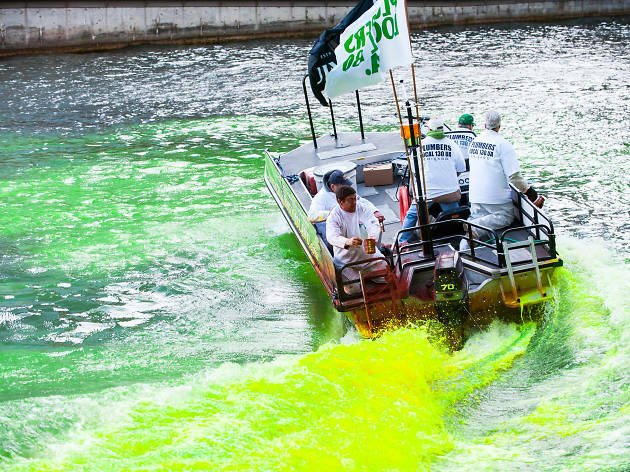 Early risers watched as organizers dumped buckets of orange liquid into the river, turning it into a flourescent shade of green. 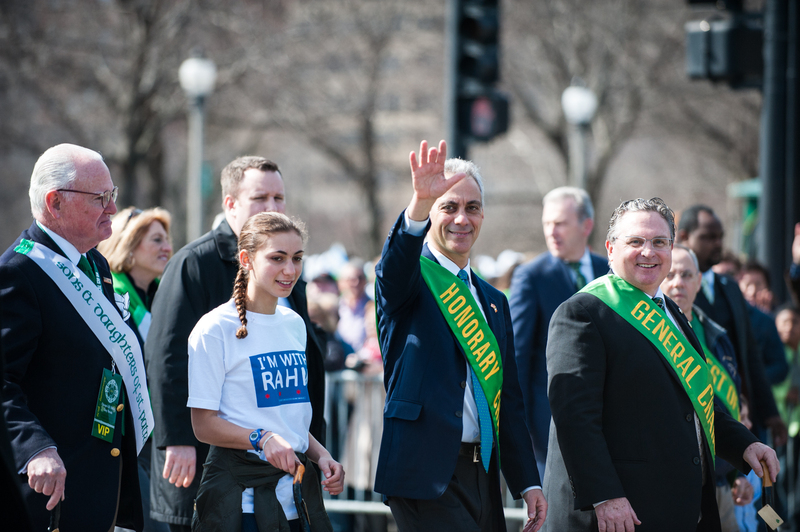 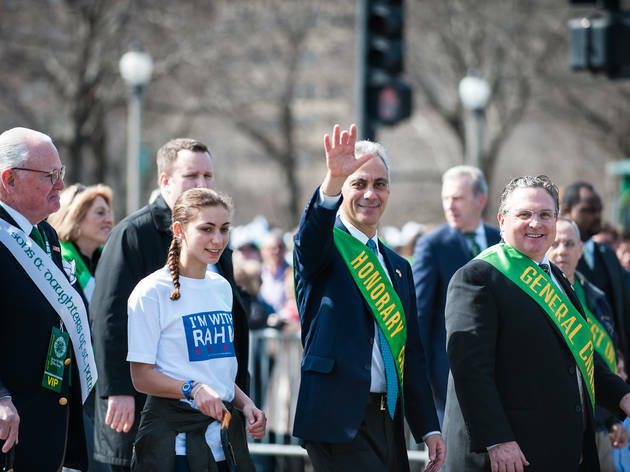 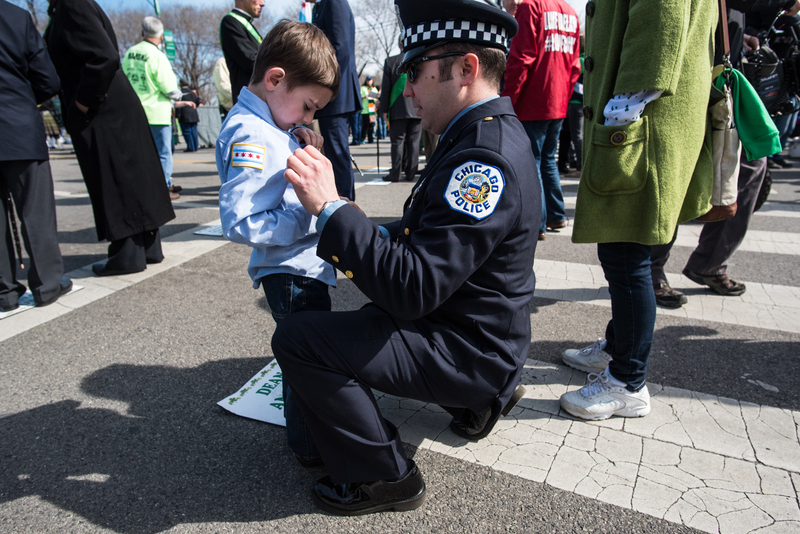 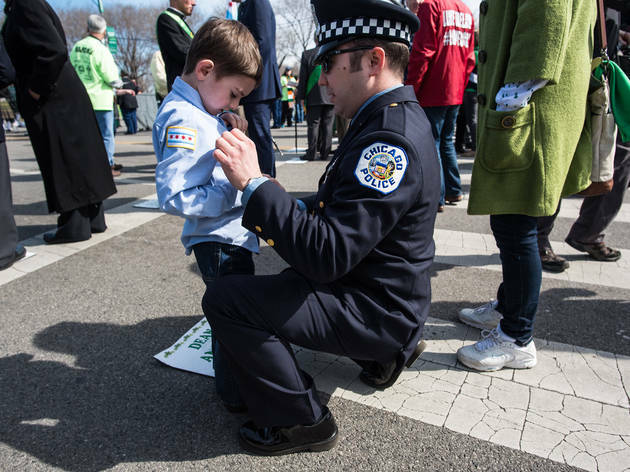 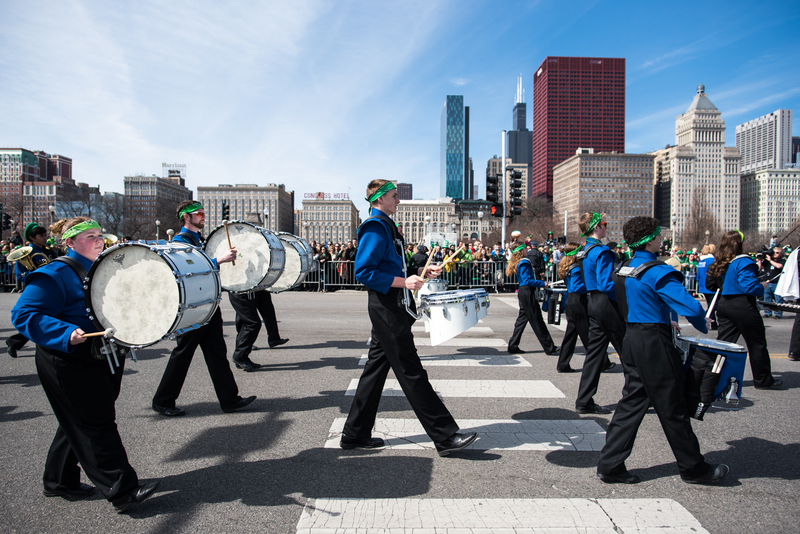 Over in Grant Park, onlookers lined the streets as bands, dancers and politicians marched by. 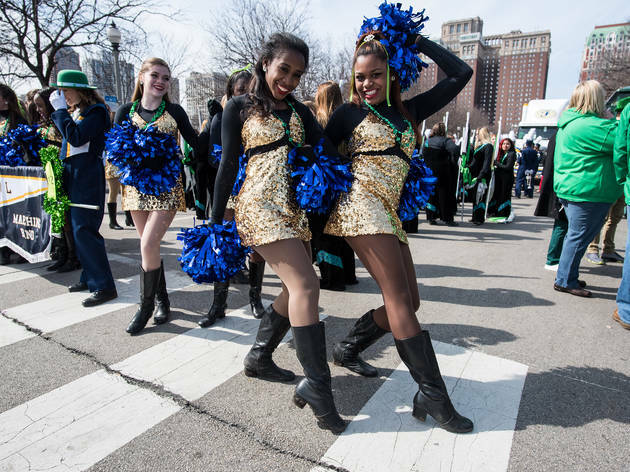 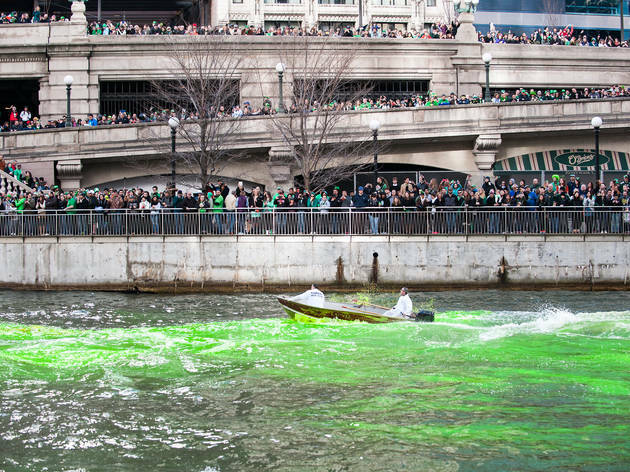 Channel the luck of the Irish with our photos from the downtown St. Patrick's Day Parade and river dyeing. 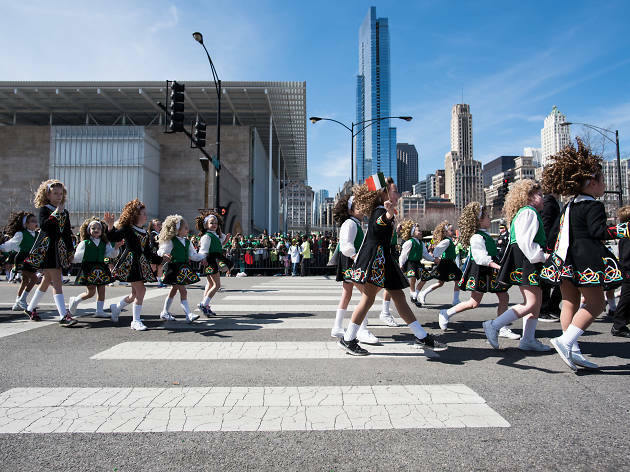 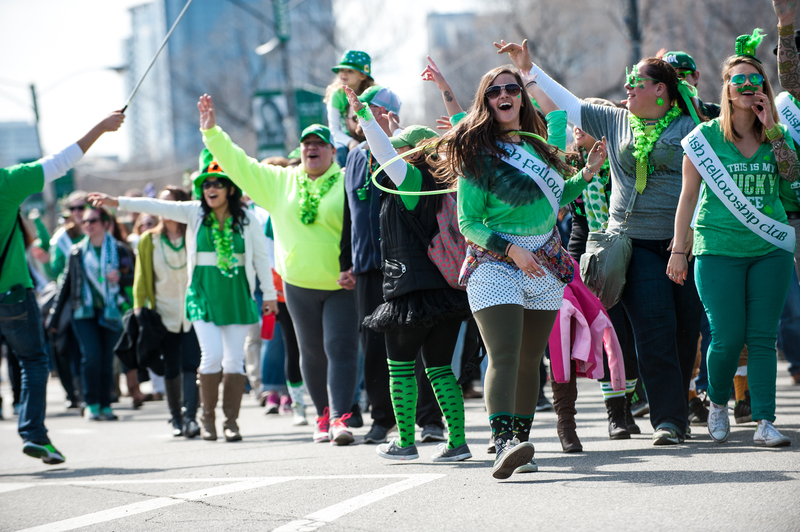 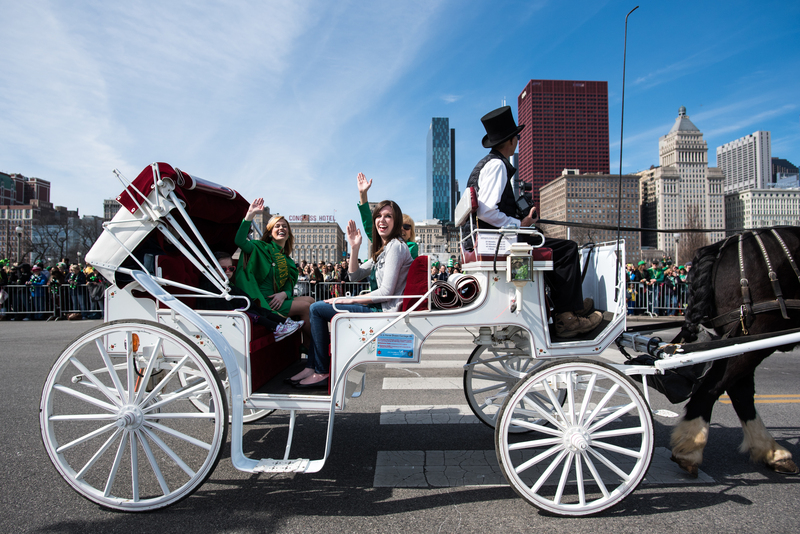 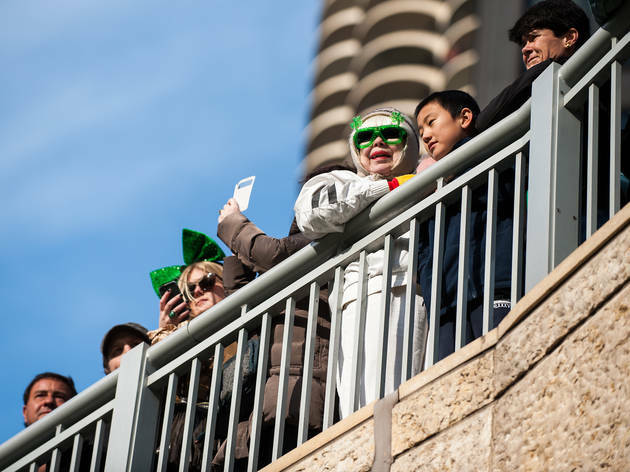 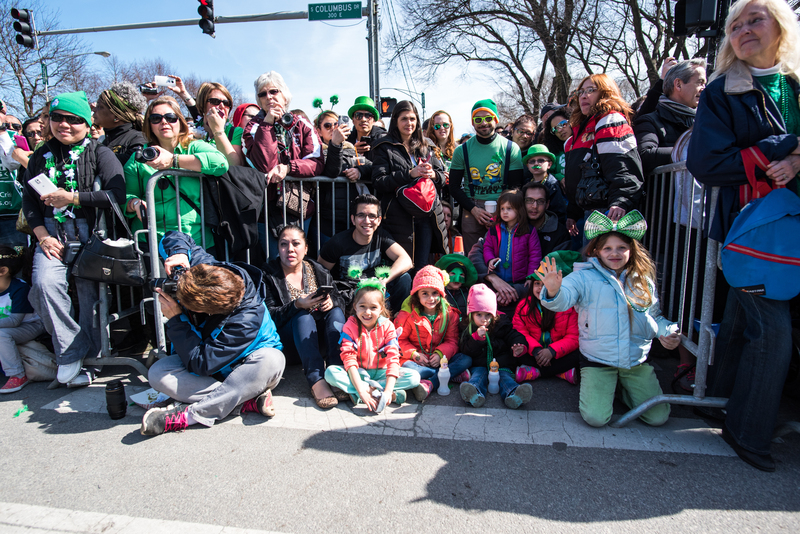 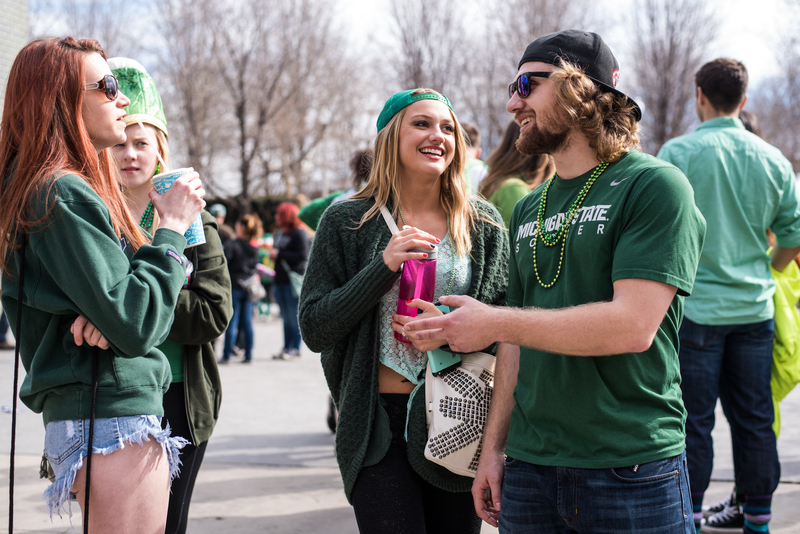 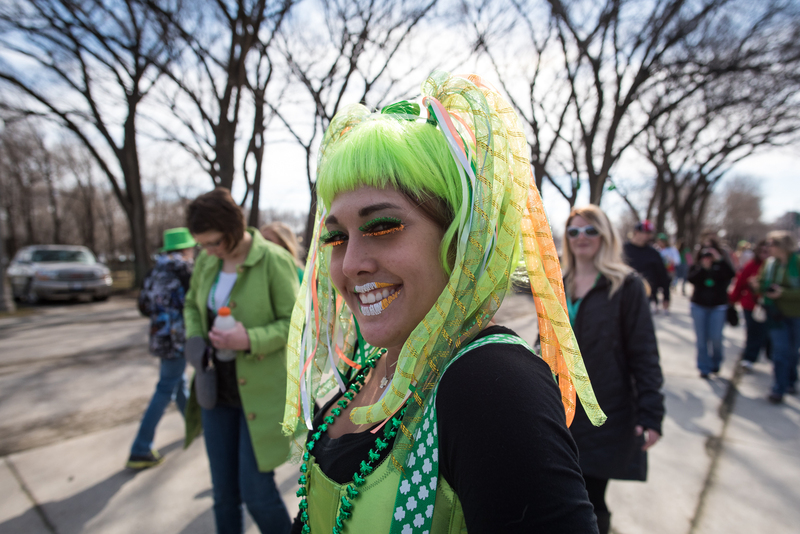 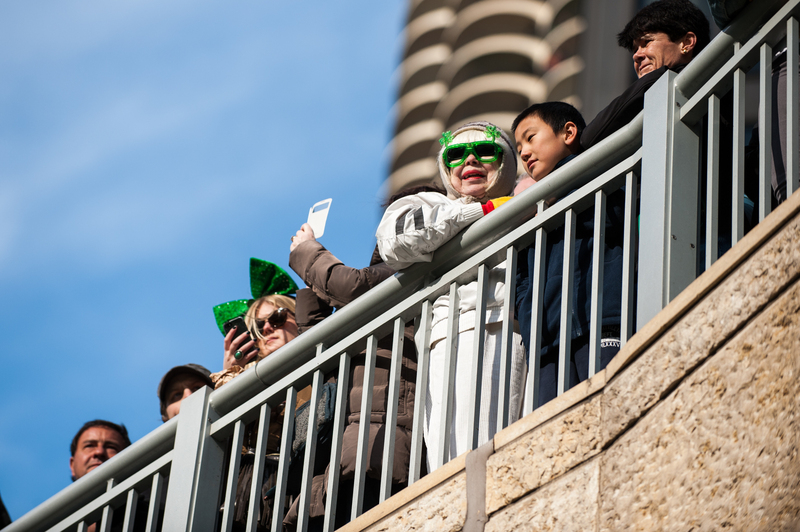 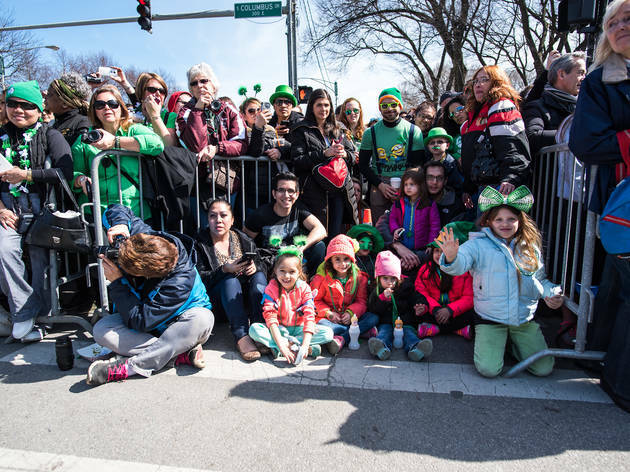 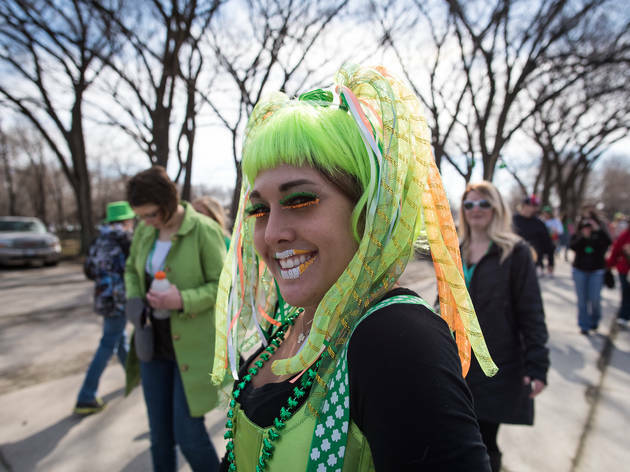 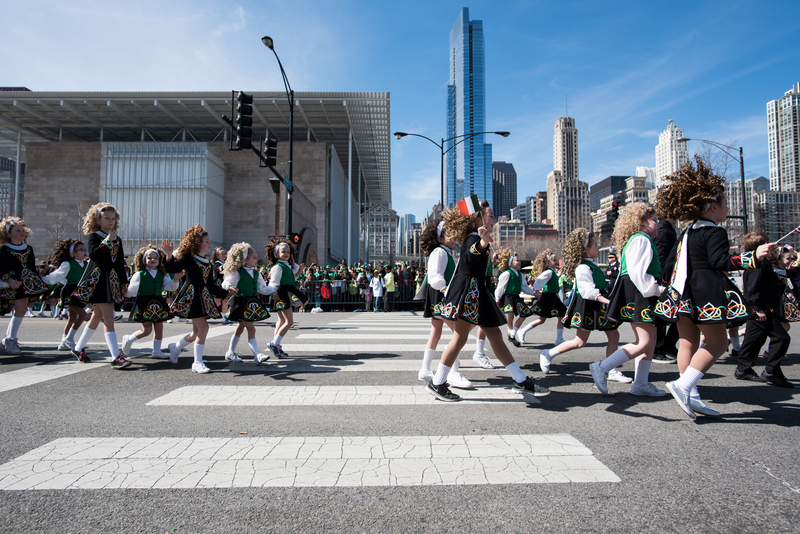 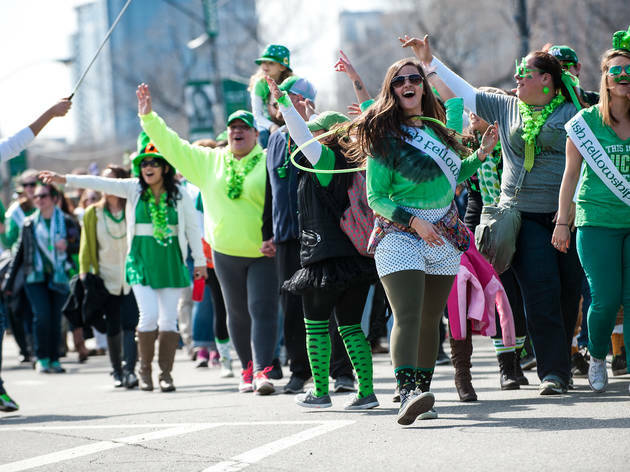 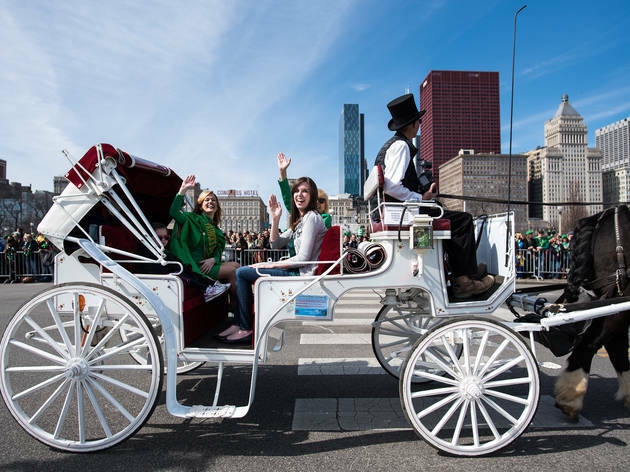 The river and streets turned green as onlookers gathered for Chicago's downtown St. Patrick's Day Parade, March 14, 2015.